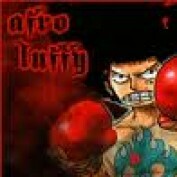 I'm afro luffy, the most well-learned One Piece enthusiast. Check out some of my favorite sites like OnePieceHQ.com! I'll teach you how to get fast updates with sites like these.